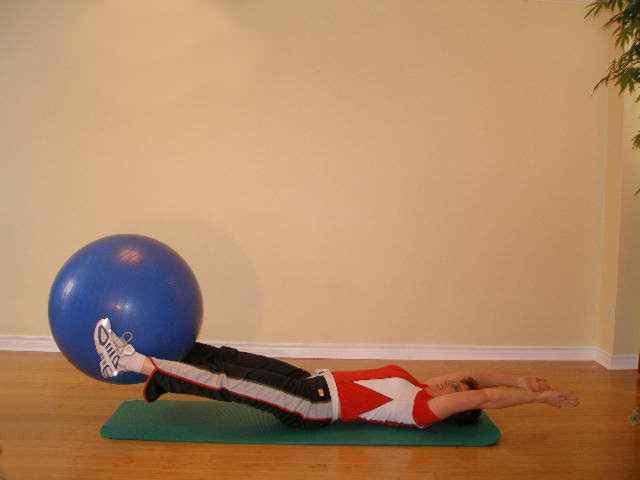 Lie on your yoga mat face up with your arms stretched overhead holding your exercise ball as illustrated below. Legs are straight and feet hip width apart. Set your abdominals and raise your legs up to 80-90 degrees. Simultaneously lift your straight arms with the ball up to meet your feet. Hand off the ball to your feet. Lower the ball to the floor as you raise your arms overhead. Do not attempt this ball exercise until you can safely do Straight Leg Hip Raises with good form 10 times without reaching technical failure. Pause before touching the ball down to the floor. 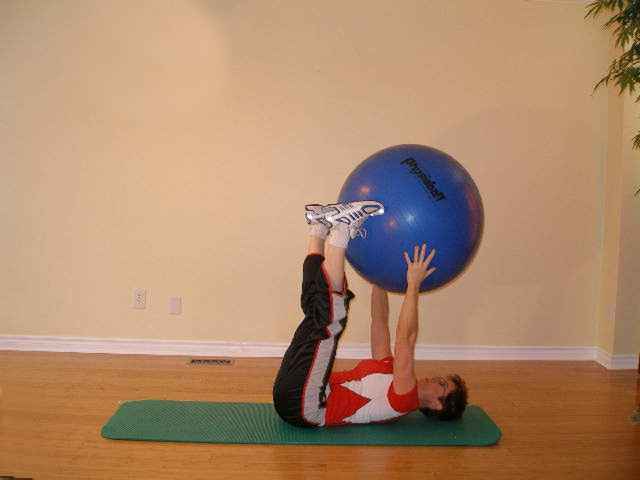 This is an advanced exercise ball exercise that forces your to keep your spine stable while several limbs are moving at once with a load.